OAK GROVE, MISSOURI – Oak Grove 70 Petro has just completed a major remodel of its chrome shop, gift store and Iron Skillet restaurant. “Our customers are continually complimenting us on what we’ve done with this remodel,” says Steve Aderman, General Manager. The updated chrome shop and gift area have been redesigned and expanded to provide a more open feel for customers. “We wanted people to walk into an area that is welcoming and spacious. 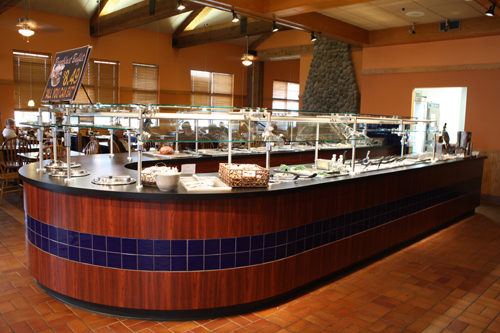 This new design accomplishes that,” says Delia Moon Meier, Senior Vice President. 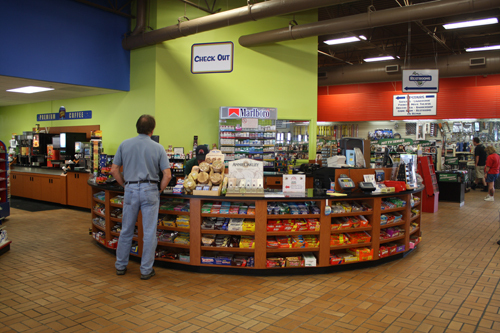 The Oak Grove 70 Petro also remodeled main floor restrooms and installed a new Moonstruck Java coffee station, as well as a new entrance vestibule complete with automatic doors. Oak Grove 70 Petro is part of the Iowa 80 Group family of companies that include: Iowa 80 TA Truckstop, Walcott, Iowa; Joplin Petro, Joplin, Missouri; Kenly 95 TA Truckstop, Kenly, North Carolina; Truckomat Truck Washes in N. Little Rock, Arkansas; Temple, Georgia; Effingham, Illinois; South Holland, Illinois; Indianapolis, Indiana; Walcott, Iowa; Oak Grove, Missouri; Joplin, Missouri; Kenly, North Carolina; Hebron, Ohio; Oklahoma City, Oklahoma; Laredo, Texas; Wytheville, Virginia; CAT Scale Company, Walcott, Iowa and Iowa80.com, Walcott, Iowa.